In my last article few articles (here, here, and here), we looked at emerging markets. 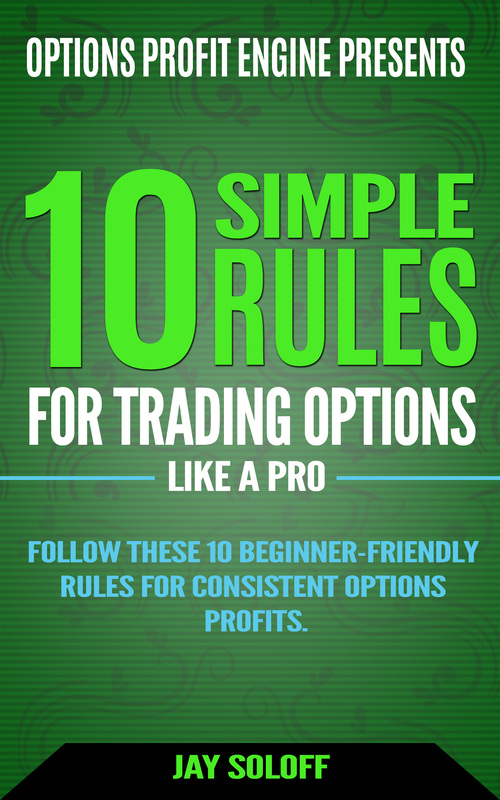 I gave you the breakdown as to the markets I do not like and those that I do, in the Asia-Pacific region. But even if you’re not a fan of emerging markets, please do not make the mistake many investors do… just because you don’t like China, for instance, do not throw out the entire Asia-Pacific region. If you do, you will be missing out on some wonderful opportunities to make money. One of my favorite investing destinations is Australia, which is a stable, democratic country in the Asia-Pacific region. 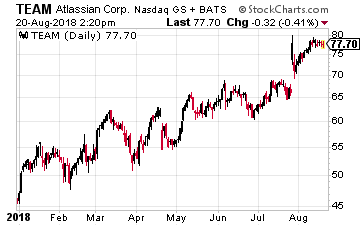 It has a number of top-quality stocks, including a technology stock that trades right here in the U.S. – Atlassian Corporation PLC (Nasdaq: TEAM). The company provides team collaboration and productivity software solutions worldwide. It offers project tracking, content creation and sharing, real-time communication, and service management products to all sizes of organizations. The company’s products include JIRA, a workflow management system that enables teams to plan, organize, track, and manage their work and projects; Confluence, a content collaboration platform that is used to create, share, organize, and discuss projects; HipChat that provides teams a way to communicate in real-time and share ideas, updates, codes, and files; Trello, a Web-based project management application for capturing and adding structure to fluid and fast-forming work for teams; Bitbucket, a code management and collaboration product for teams using distributed version control systems; and JIRA Service Desk, a service desk product for creating and managing service experiences for various service team providers, including IT help desks, and legal and HR teams. It also offers other tools for software developers, such as Stride, FishEye, Clover, Crowd, Crucible, Bamboo, SourceTree, and StatusPage. The company recently entered into a strategic partnership with Slack. Atlassian currently has two offerings in the real-time communications market: Stride and Hipchat. With this partnership, Atlassian will exit the communications space. Slack has acquired the intellectual property for Stride and Hipchat Cloud, both of which will be discontinued. Atlassian will also discontinue Hipchat Server and Data Center and will be working with Slack to provide a migration path for customers of all four products. Atlassian also said it has also made an equity investment in Slack to reinforce the long-term nature and significance of the partnership. The logic behind the two companies joining forces in this particular segment is that both were facing significant competition from Microsoft and its TEAMs product that is offered to its Office cloud customers. Microsoft also offers a free version to people that do not subscribe to Office 365. The deal will let Atlassian and Slack focus on the area where they lead – Slack in chat and Atlassian in project management software. Microsoft is also trying to encroach on Atlassian’s turf with its recent $7.5 billion purchase of GitHub. Initially, investors were fearful that Microsoft’s buy would hurt Atlassian. But it turns out the deal may actually bolster Atlassian’s Bitbucket business, which competes with GitHub in the business of storing code for companies and software developers. Immediately after the Microsoft announcement, the company’s Bitbucket enjoyed its best day ever in terms of new user sign ups. The reason is straightforward – Atlassian offers better products at lower costs. Bitbucket prices are significantly lower than GitHub’s due to its focus on spending more on research and development rather than sales and marketing (more on this in a second). Because of its Australian roots, it was a unicorn that was valued well below its Silicon Valley peers. Part of the reason for that was that the company did not sell much stock (only about $200 million) to private investors. So there was not the typical feeding frenzy sending valuations soaring. And the potential future valuation potential had not been already squeezed out by the venture capitalists. Also, Atlassian was unique in that the company had always been profitable. I’m sure the investment banks on its IPO had difficulty pitching this unique asset – a technology company that had healthy revenue growth, positive cash flow and a reasonable valuation. What a contrast from what normally comes out of Silicon Valley! And now its most unique aspect – Atlassian does not have a sales team. Its business grows simply on word of mouth about the high quality of its products. I absolutely love that concept… letting the quality of your product speak for itself! The lack of a paid sales staff certainly has not slowed down Atlassian’s growth. Its latest quarterly report sent the stock soaring by rose more than 23%. The company reported financial results for fiscal Q4, with earnings and revenue that topped analysts’ expectations; it also provided guidance for fiscal Q1 and full year 2019 above forecasts. For the quarter ended June 30, Atlassian posted earnings of $0.13 per share, compared with the prior-year period’s $0.09 per share. Wall Street analysts had expected EPS of $0.12. Revenue came in at $243.8 million, up from $174.3 million in the same quarter last year. That was again above Street estimates for revenue of $233.4 million. The company expects fiscal first quarter EPS of about $0.19 on revenue of $258 million to $260 million. Wall Street analysts had been looking for guidance of $0.15 on revenue of $252.5 million. For fiscal 2019, Atlassian forecast EPS of about $0.77 on revenue of $1.146 billion to $1.154 billion. That compares to the Street view of EPS of $0.66 on revenue of $1.11 billion. I’m in agreement, with my expectation that Atlassian will continue to be a winner following its unique Australian model of success.